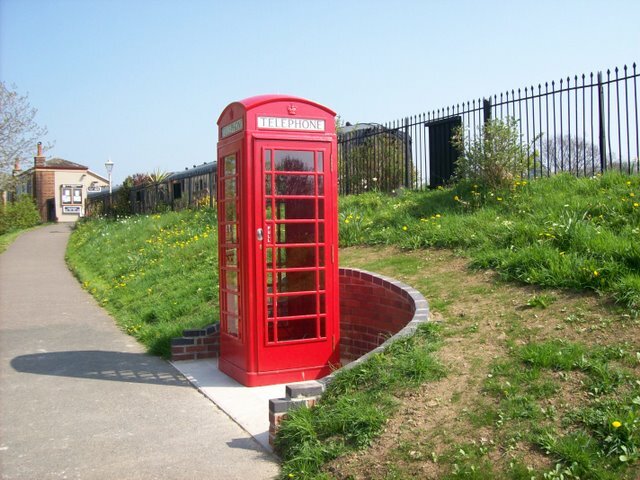 The South Devon Railway has two K6 "Jubilee" telephone kiosks from the former GPO. Designed by Sir Giles Gilbert Scott to commemorate the Silver Jubilee of King George V in 1935, the K6 soon became the most famous and best loved of all of Britain’s telephone boxes. They are made from cast iron sections that were originally bolted together with a wooden door then added. Both examples on the South Devon Railway arrived fully assembled which meant they weighed in at nearly 1 tonne each! The first of these is at Buckfastleigh on the forecourt having been purchased in 1996 by a London Group member. It had the honour of housing a proper BT payphone for many years but this was removed when the revenue fell below the required threshold; a victim of the ubiquitous mobile 'phone. 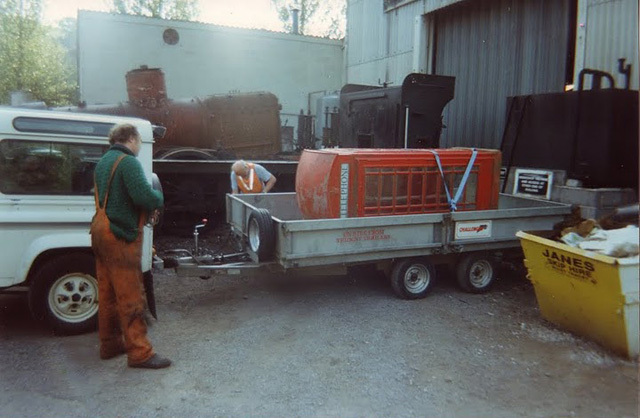 In 2009 the Totnes Group purchased another K6 for the station at their end of the line. Unlike at Buckfastleigh where the kiosk was delivered by road and erected with a crane the Totnes Group had to do this all by hand which is no mean feat given the weight of these cast iron objects! As can be seen from the photograph above they have done a marvellous job on its restoration and, though it is unlikely to get a telephone apparatus, it will be connected to the mains electricity so its welcoming internal light illuminates the path.